Marthanda Varma, the Travancore King established this Palace in 18th century. This Palace is highly recommended place for those who love revisiting history. 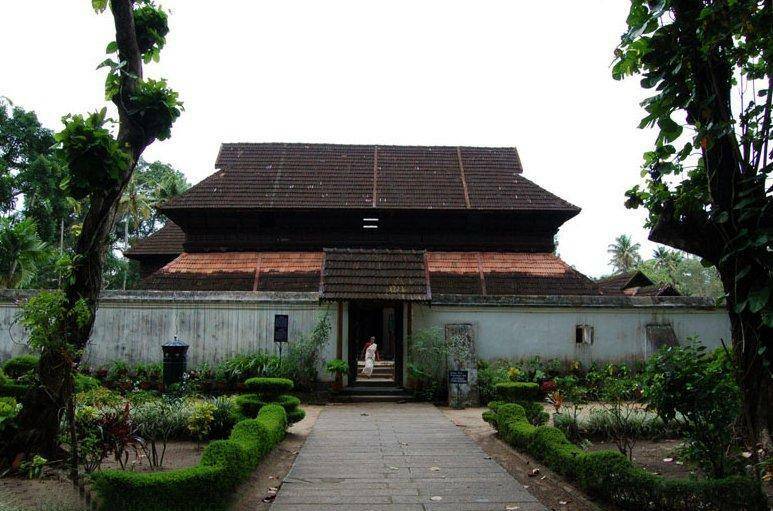 The Palace is a two storey structure built in typical Kerala Architecture. There are narrow corridors, dormer windows and high roofs which are ravishingly beautiful. The Palace houses the most prestigious “Gajendra Moksham” mural painting of Kerala. This painting is 14 feet by 11 feet in dimension. Beside this mural there is a museum which has a collection of items from royal past. The palace also talks of several mysterious escape routes, some of them expected to be running from under the huge pond outside the palace.